This is the third book in the series. I enjoyed these characters a lot, but I have to say that Davey was my favorite in the story. Tom is used to getting what he wants. He's successful and has great friends. When he happens on Greg and Davey, he sees the world through their eyes and immediately begins to worm his way in to their lives. I love how dedicated Tom was to his friends, who had become his family. Greg is a single dad, who's ex-wife is somewhat annoying. I understand why she was important in the story, but I really just wanted to smack her. Greg is doing his best, but his son Davey is having a difficult time – he's going blind due to a rare genetic disorder. When Greg's friends pitch in to help, Greg is somewhat reluctant – he seems to think that he needs to do everything himself. I like that his family – his friends – show him that it does indeed take a village to raise kids. Davey is my favorite character in this book. I like that he is a kid who knows what he wants, who he wants to be with, and that he's grounded enough to not allow last ditch efforts to sway his ideals. I also like that he's full of compassion – he shows his mom compassion when she comes barreling back in to his life – but he also knows that his dad has been the true parent and he's unwilling to just drop the fact that his mom abandoned them. Greg and Tom's relationship was slow to start – however, their friendship grew and with each beep ball session, Tom's love for Greg and Davey increased. This was a slow buildup and I liked that all of the previous characters were involved. I think that it strengthened the story and made it seem much more complete. 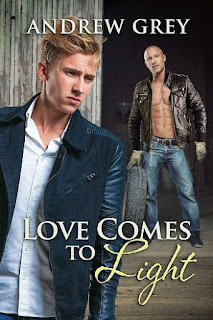 For reviews & more info, check out our Love Comes in Darkness post. 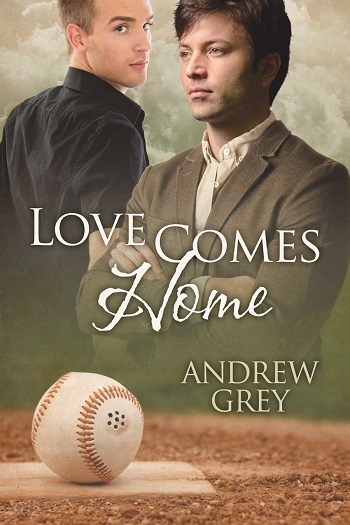 Reviewers on the Wicked Reads Review Team were provided a free copy of Love Comes Home (Senses #3) by Andrew Grey in Senses Vol. 1 to read and review.